After some time at the house, we made our way to the Utopia IV where influencers and friends had almost full range of the boat. 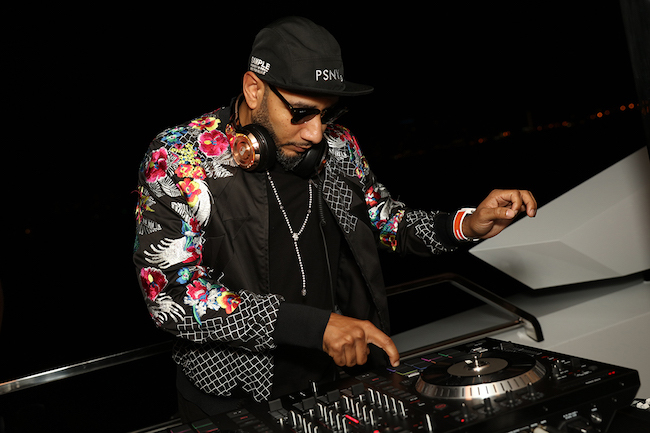 DJs including Swizz Beatz and Chantel Jeffries played us into the night! After a quick ride out into the bay, everyone was treated to a fireworks show. Amber really pulled off a fantastic event, and I couldn't be prouder of all the hard work she put into this! Everyone left with a goody bag complete with full-sized Lumiere products. I hope everyone had a blast at the LDV Miami event! Influencers enjoyed our Lumiere-themed ball pit on the Utopia IV. Chantel Jeffries treated us all to an amazing set. Everyone was dancing and having a good time! Swizz played some great jams. Everyone was jamming. Here are Chantel and Swizz at the end of the night!